Yesterday we worked through the differences in Array and Object References and Copies. You can keep track of all the projects we're building here. Today we're exploring LocalStorage and Event Delegation. Today we are exploring two topics in a longer lesson. The first is LocalStorage and the second is Event Delegation. 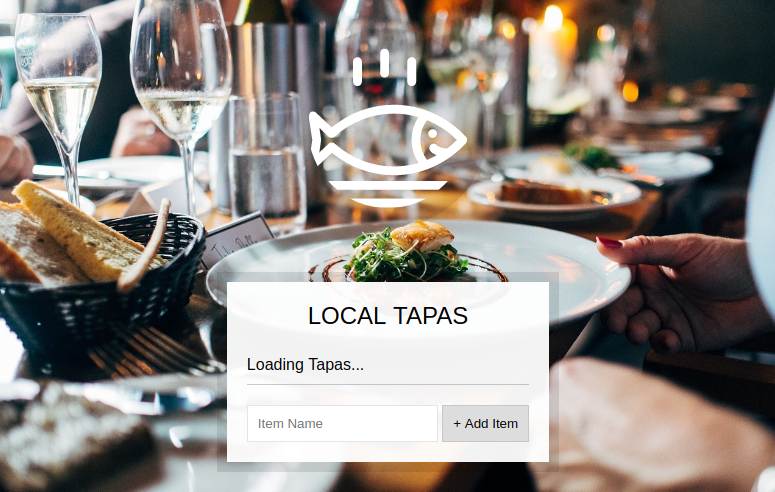 Enter names of tapas into the form and add the item. Store the tapas items (along with their 'clicked/not clicked' status) in LocalStorage. We are able to persist our state with localstorage. We will be storing the tapas objects (name & status) in an array. First things first, we need to capture the user input from the form. We will add an event listener on the form that triggers when the submit event is fired. This covers off if someone clicks, presses enter or submits by mind control*. Prevents the default form submission. Grabs the text that the user entered. Creates an object based on the user submission. Push the object into the item array. We will then need to create the second function called populateList that handles the display of the items array in the HTML document. We are passing this function two arguments; the array of objects the user has entered and the HTML element that we want to output the list to. *Note: You cannot, at this point, submit forms via mind control. Now that we have our array of items we can save this to LocalStorage to persist this list through refreshing the page. LocalStorage is only a key value store. This means we can only store strings in the value section. Every time an item is created it is put into localStorage. On page load, localStorage is checked to see if anything is saved. If nothing is saved, we fall back to an empty array. We need to run a toggleDone function when the user clicks on the checkbox beside our items. However, this becomes tricky to do as some of the items are created AFTER the event listener is created. This means they aren't included in the resulting nodeList. This means we are going to need some black magic to select them all. We are going to use Event Delegation. This allows us to add the event listener on a parent element and have the effect of the event listener bubble to each child. This bubbles the event listener down to the children. In our case, there are two children that are clicked when a user clicks the checkbox on our list; the label AND the checkbox. We don't care about clicks on the label so we will discard everything BUT the checkbox. //find the index of the child that was clicked. These work perfectly. Now that everything has been done I have pushed this project live to a Firebase project. You can view it live here.